Oceanic Soap Box: Gander At The Pandas? It’s an embarrassment of riches at the moment with MMOs. Guild Wars is only a few days old, SWTOR is close to going Free to Play, and World of Warcraft just had Patch 5.04 drop, the last one before the Mists of Pandaria expansion hits in late September. So let’s focus on Pandas for a few minutes. For ex-players of WoW, is the latest expansion enough to draw you back? For people who’ve never played: is the game too old to consider? For current players like me: what are you liking or hating from your first 24 hours with 5.04? It’s been a while coming, but Blizzard have release the cinematic trailer for next month’s Mists of Pandaria expansion. Over to you: what are your thoughts? Is the cinematic more or less than you expected? Last week I looked at the Pandaren starting area and I had hoped to preview some of the higher level content for you this week. Unfortunately the first zone we enter for Mists of Pandaria, the Jade Forest has only been reopened fairly recently after a major overhaul and I have not yet had the chance to replay it. First I’d like to direct current subscribers to the following information regarding the recent Blizzard security breach. I encourage all current subscribers to follow the steps suggested by Blizzard in regards to account security. This breach also limited my game time last week as I could not for the life of me locate my authenticator for the hotfix so I apologise in advance for not being very content oriented this week. 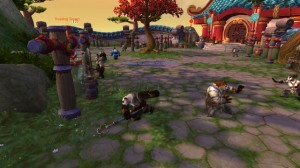 The pre Mists of Pandaria patch (5.0.4) is also now available via background downloader and the pre expansion event will not be publicly tested. There’s also some interesting information regarding the use of Blizzard’s recruit-a-friend system for levelling a Monk. You can see here that Monks using this feature WILL be able to receive realm first achievements. Though using the Scroll of Resurrection feature to have an instant level 80 will not allow realm firsts. Next time I’ll take a look at The Jade Forest once again, the small amount of play time I had this week showed it with a significant visual overhaul. 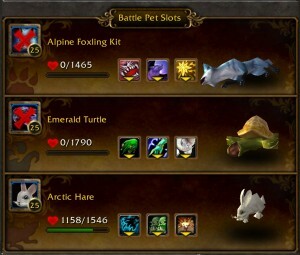 I also intend to offer a preview of the new Pet battle system. 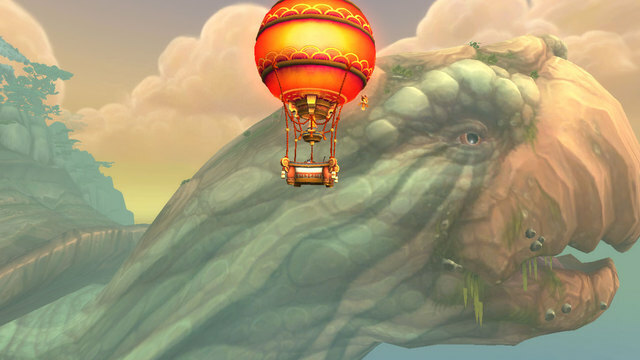 This week I will be taking a look at the Wandering Isles, the new starting zone for the Pandaren and the Pandaren in general. The zone offers us a new introductory cut scene, which I will not describe so that you may enjoy it on launch night. Suffice to say that this zone known as the Wandering Isle has begun to move erratically and it is up to you as an adventurous and gifted Pandaren to discover the reason for this. The Pandaren are World of Warcraft’s first neutral race and as such the starting area is quite serene with some amazing new scenery. The entire zone has a strong Chinese feel to it as one would expect given the lore behind the race. 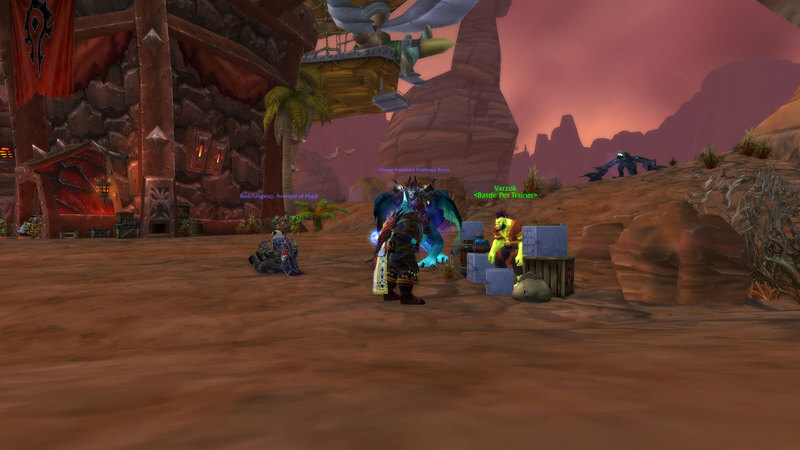 Due to its neutrality, the starting zone does not have mailboxes, meaning that until the area is complete players cannot use their BoA items or send bags and supplies to their new Pandarens. This has been the focus of a lot of discussion in the beta but overall it has proven to be a sensible decision on behalf of Blizzard. The zone is rich in lore and the visuals are absolutely stunning and there is no surprise that Blizzard want players to be immersed in every aspect of the Wandering Isles. Last week I described the Pandaren as bobbly and I stand by this description. To me it feels similar to the bobbing motion that a character has when they are riding a Raptor mount. In a way it suits the physics of the race but personally I find it distracting. Epicurean: Your love of food allows you to receive double the stats from Well Fed effects. Quaking Palm: Strikes the target with lightning speed, incapacitating them for 4 seconds. The first few quests follow along the lines of those that were introduced with Cataclysm and focus on teaching new players how to equip items and use their abilities. While this is somewhat annoying as a seasoned player, it is brief enough to be tolerable knowing that it will help new players to the game learn their characters. Next up is a handful of quests where the player is trailed by Master Shang Xi as they attempt to complete their training. This series of quests also introduces us to a new protagonist the Hozen who we will also meet in the higher level zones to be previewed later. 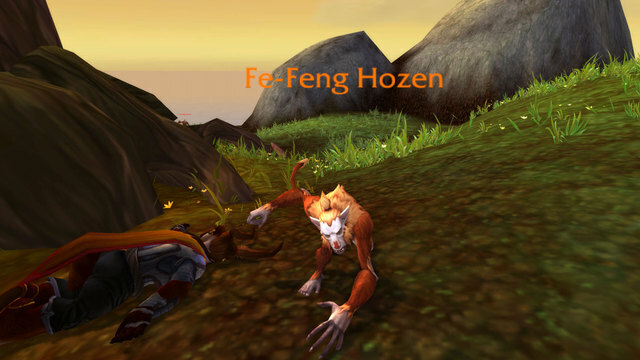 The Hozen have some nifty little attacks such as the ability to jump on the players head (similar to the Kobolds) in ToGC. We continue along these lines until we reawaken the spirit of fire, upon completion of this quest we learn that Shen-zin Su is in pain. While there is little hint as to what or who Shen-zin Su is, we are whisked off to awaken the remaining elemental spirits, whose absences are being felt to varying degrees across the Wandering Isle, in order to communicate with it. The quest line follows this approach, with various side quests that have us dealing with the Hozen, until we have gathered the four ancient spirits together. After this we learn that Shen-zin Su is an enormous turtle and the Wandering Isle is affixed firmly to his shell and the might creature is in pain due to a thorn in his side. We are now sent to investigate this injury to learn that an alliance airship has crashed into his side. This is the first time the Pandaren are exposed to the battling factions of the Alliance and the Horde. After completing a series of quests for both factions and finally healing Shen-zin Su with their assistance, we return to the spirit of Master Shang Xi where you are required to select a faction. After selecting the Horde I was teleported to Orgrimmar where Garrosh Hellscream gave me a fairly cold welcome and put me through a quest that sets the tone of the expansion. The Wandering Isles was an interesting zone, I was just shy of level 12 upon completion of the quest for Garrosh Hellscream and I feel that the levelling was well timed. I never felt too strong for my opponents or too weak and I am glad that BoA’s are not allowed in the area. The zone itself was visually stunning and the quests combined with the environment reinforced the sense of discipline and lore of the Pandaren race and Monk class. There is a fair amount of walking involved in this new area which in future may become annoying for now it allowed me to enjoy the aesthetics of the zone. Through the Mist is a regular column covering not just the new expansion but pretty much anything else of interest in the game. We’re thrilled to welcome Through the Mist’s writer, Luke Le Page. 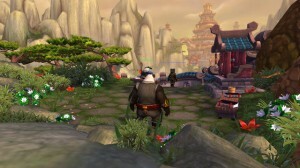 Luke is going to writing the column regularly, starting with an overview of the upcoming Mists of Pandaria expansion. Welcome Luke! As this is my first piece I was having some difficulty in determining how to start it. Blizzard have managed to do it for me by announcing the release date for World of Warcraft’s fourth expansion; Mists of Pandaria. This also leaves me with a lot of content to cover and not much time in which to do it. Mists will hit shelves and for the first time in the franchise’s history be available digitally on September 25. The digital version will enable players to log in the second that the servers are ready and eliminate the need to wait in line at various retail stores for midnight launches. Thurday’s press release also detailed the different version of the game and can be found here. I will start by summarising ten of the major changes to be found in the upcoming expansion and unpack them in more detail on a weekly between now and release. 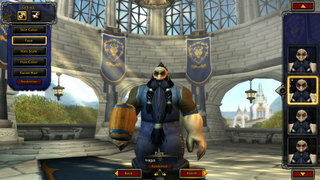 There have been a number of complaints over WoW’s lifespan regarding character customisation, which was partially addressed with introduction of the barber shop where players could, for an in-game fee, change the look of their characters. 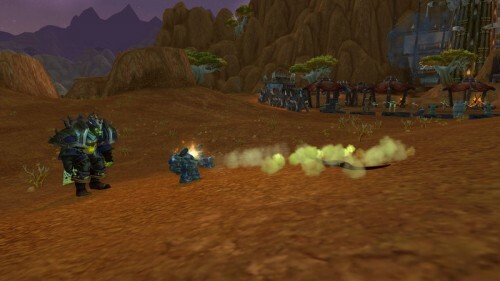 This was advanced further with the recent introduction of transmogrification – which allows characters to transmogrify their equipped items into something entirely different. This feature was warmly received and has seen a huge differentiation in the items that many people display on their characters giving them a more unique feel. 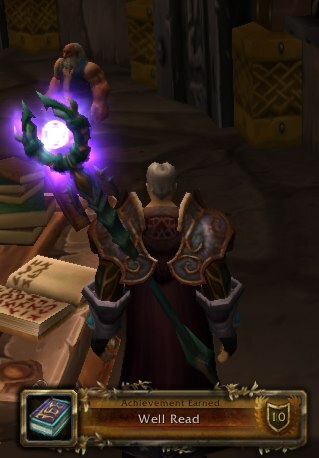 Despite these other additions the actual character creation had not changed since the initial launch of WoW and it was past time for this feature to be updated. While the changes in Mists are by no means ground-breaking they offer an exciting new feel to making a character and I have spent some time on the beta playing with the new functions. The talent tree has received a major overhaul. Veteran players will be familiar with having to adapt to a number of changes with the release of past expansions, but the new system is something completely different. We still see the 3 major tree’s for each class, but it is the talent trees themselves that have seen the major changes. Players will now receive a talent point every 15 levels giving them just 6 talent points overall. Each tree has 6 tiers with 3 choices per tier, offering just 18 talent choices in total, however only one talent in each tier can be selected. Many of the old talents are now incorporated into abilities passively and are acquired as characters progress through levels. This change has seen a lot of discussion across various message boards but when people ask me what I think of it I describe it as ‘less is more’. These changes can already be seen on the PTR. 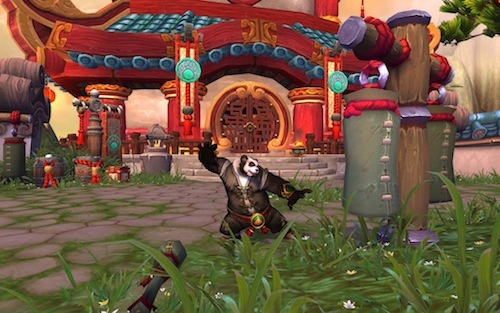 I will not go into any real detail on this as I do not wish to spoil it for anyone but we all love a great in-game event and the Mists of Pandaria launch event is set to be excellent. This is one of my favourite changes to the game in its life span. MoP will see the introduction of cross-realm zones where players from multiple realms will be able to see, interact and play with one another. This will help solve the issue of sparsely populated levelling zones and shows promise towards the introduction of a fully shared game world where guilds and friendships can be formed across realms. In this expansion we see the introduction of a new race, the Pandaren. The Pandaren come with a rich back story and breathtaking new starting zone, which I will preview prior to release, and is available to both factions. I was quite impressed by the dynamics of the Pandaren race, though their movement felt somewhat bobbly to me. MoP will introduce us to the class of Monk. The Monk is a new melee class with the ability to fulfil all three roles in the game i.e. healer, tank, dps. I will preview the Monk in full prior to release but so far I have found it an extremely fun class to play. This is an extremely fun mini-game. I hate to bring up another game but many readers of this site will be familiar with the high demand for a Pazaak mini game in SWTOR and the disappointment that accompanied its exclusion. 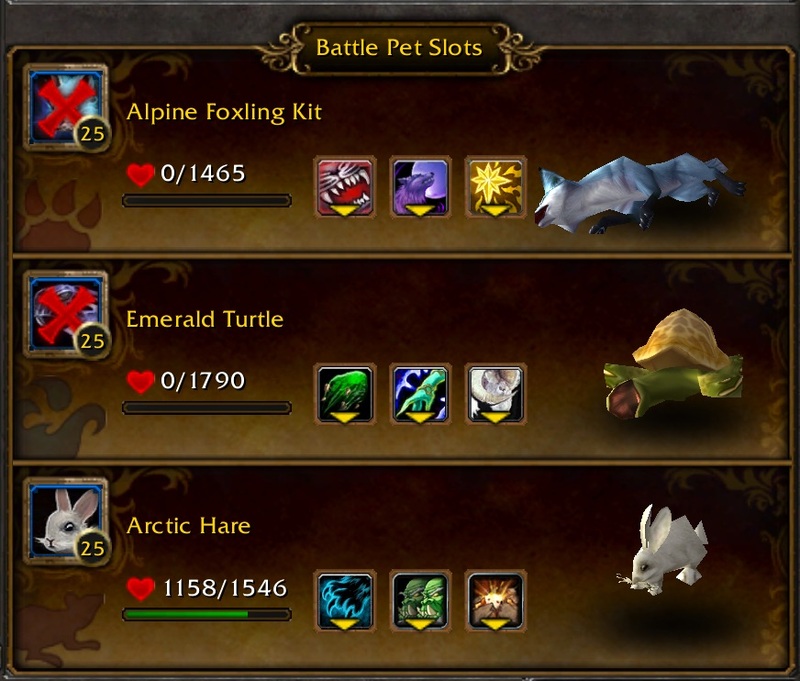 While Pet battles is not Pazaak it seems that Blizzard have taken note of the demand for mini-games and decided to try their hand at it and the result is a lot of fun. Again this is by no means a ground breaking advancement of the modern MMO, it is simply another way to have fun in the game. This is a feature I am extremely excited about. This feature sees the introduction of challenge modes to dungeons where players will race against the clock to complete instances as fast as possible. Rewards will vary based on the speed with which the instance is cleared. Gear will also be normalised to a level appropriate to the dungeon ensuring that challenge modes remain difficult throughout various tiers of gear. The only downside I see to this is that it encourages “zerging” of the challenge mode as the rewards are based on speed and not the difficulty of content. Lastly we have the customary introduction of new zones. We see the introduction of eight new zones in Mists of Pandaria and all of them are breathtaking. If, like me, you enjoy exploring the world, MoP offers you spectacular scenery to enjoy and explore. 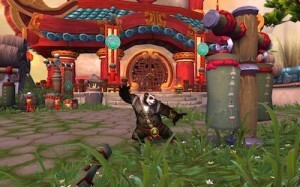 This is by no means all of the changes that are coming with Mists of Pandaria and I will attempt to cover everything I can in the time until release I felt that these 10 points were the major changes that have me excited to play. Over to you: have you been involved in the beta and if so, what have you enjoyed the most? With the announcement in the last 24 hours that the next World of Warcraft Expansion will hit virtual or physical world shelves on September 25th, I thought I’d put down some reasons why I’m actually quite excited about the fourth expansion to one of the world’s most successful MMOs ever. Despite the pandas, I’m excited to have a bunch of new territories in WoW to explore. Having played since Burning Crusade, I’ve always loved those initial days or checking out new zones. That’s not a WoW-specific joy by any means, but it’s still something that gets me going. And hell, I might even get to like the Pandarians. 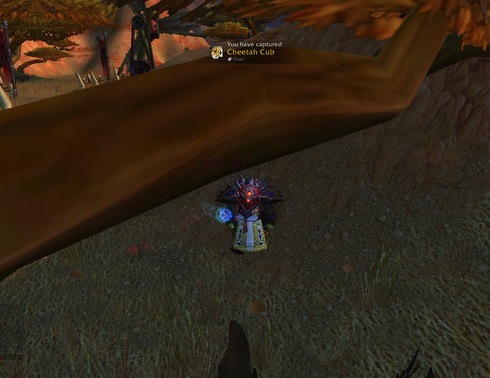 With each expansion Blizzard have delivered some innovative new aspects to MMO gameplay. 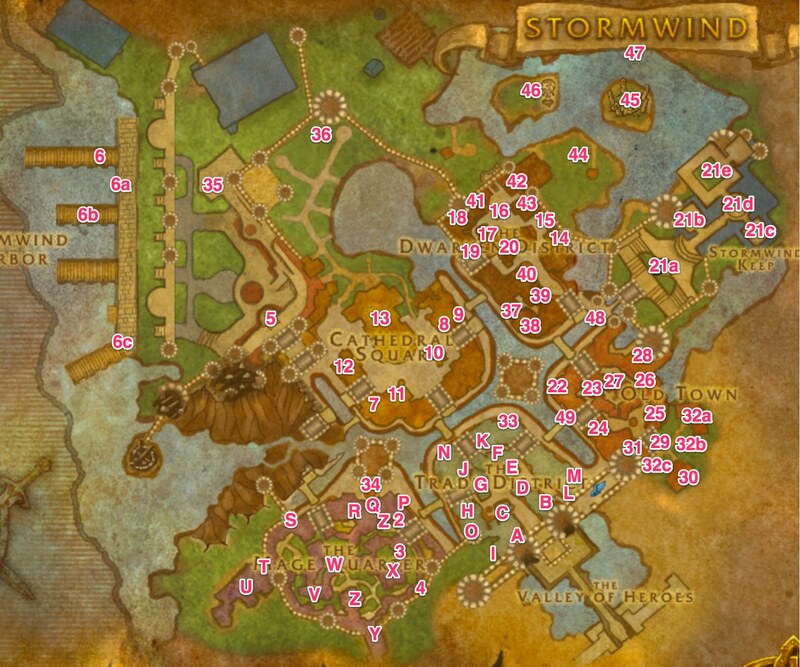 MoP will be no different and I for one am excited to be able to log in, check out what’s changed, enjoy re-speccing and going out into the wide blue questing yonder. Being particularly selfish, I don’t just want to see WoW show off some new ideas, I want those ideas to be so good that they form a launching pad for my other favourite MMO SWTOR to mimic or even improve on. C’mon, it could happen! I’m a diagnosed achievement junkie and I still think WoW’s achievement system is the best one going around. 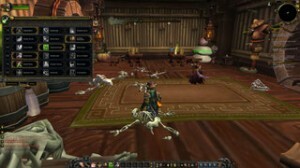 That alone means I’m keen to immerse myself in MoP and to see if there are some particularly cool achievements. 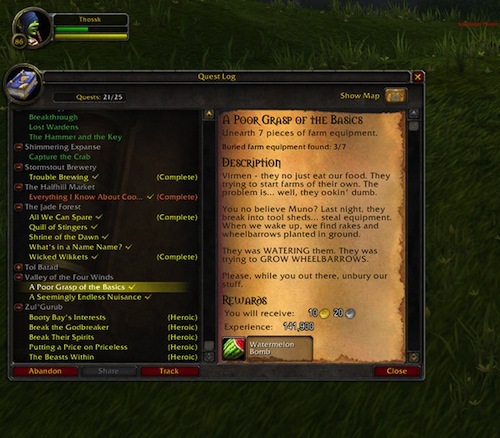 I still tell everyone that will listen (there’s not many left) how I won the Stranglethorn Fishing Extravaganza – so I’m hoping there’ll be some similar things I can get excited about. Hell, I just want to level up my fishing to the newest level cap! In the lead-up to Cataclysm, there was a series of World Events that were nearly as much fun as the expansion itself. Last time it was protecting your home city from being overrun. Who knows what it’ll be this time, but I can’t wait to see it. So now it’s your turn: will you be buying MoP and if so, is it a return to WoW for you or just the latest expansion in a long period of playing?